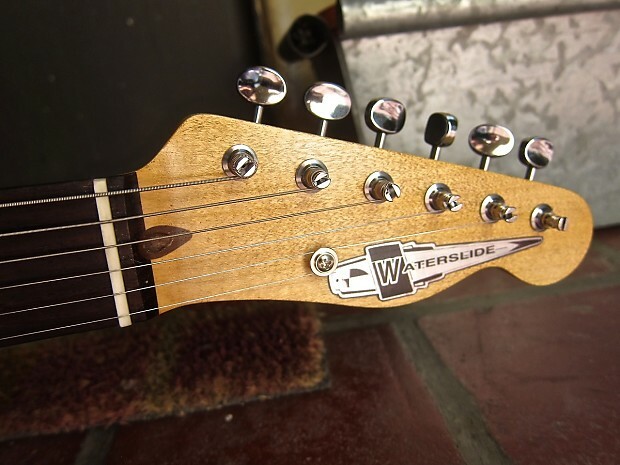 This is one of my newest custom made Waterslide Telebacker guitars and it's all "Made in the USA". 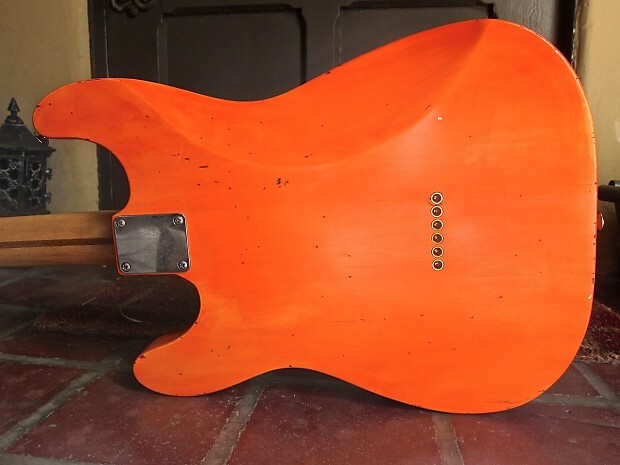 This body shape is a hybrid Strat/Tele shape with arm and belly contours for comfort. 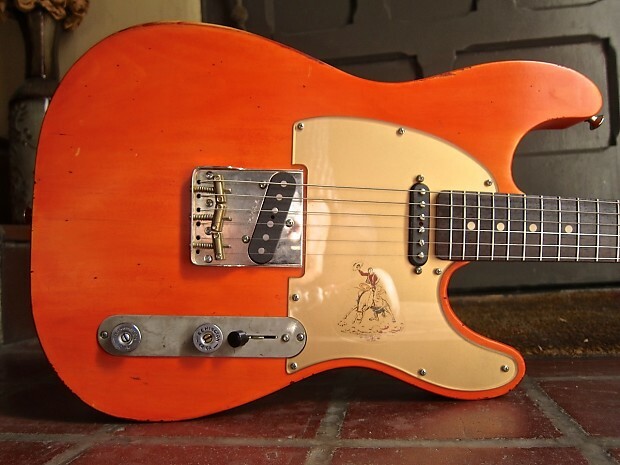 As with all of my guitars, if you like the guitar but would prefer a different neck, pickguard, pickups, etc, just send me a message and we'll see what we can do. 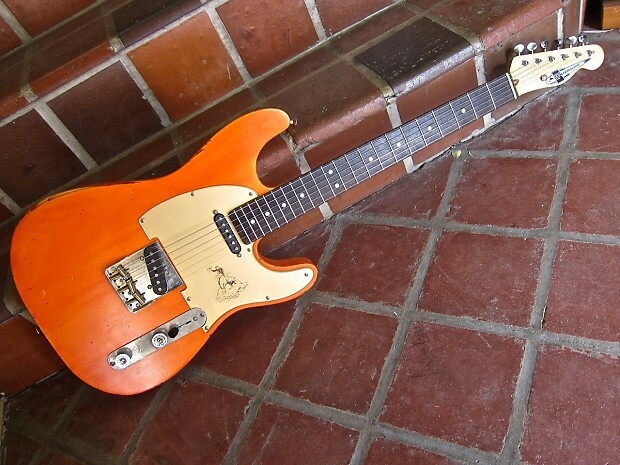 This guitar features a lightweight Pine body with a "Roundup Orange" Nitrocellulose Lacquer finish that's been lightly relic'd and aged. The whole guitar weighs in at 5lbs 14oz total so it's very light with great balance & no neck dive. The maple neck has a nice dark Rosewood fingerboard & Slim Modern C (.80" - .86") profile with a 25.5" scale length. It's 1.685" at the nut with a 9.5" radius and 6105 frets. 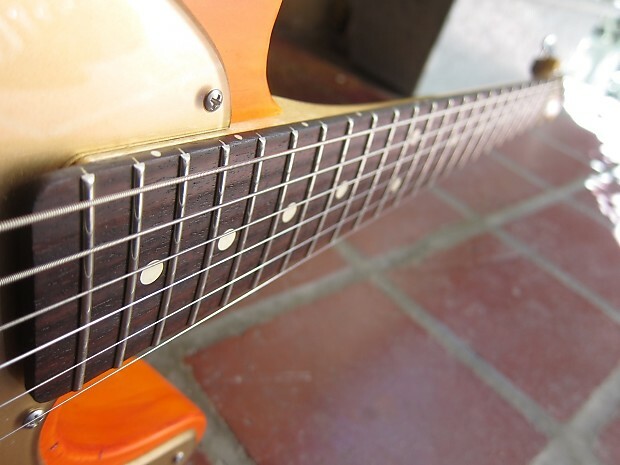 It plays great with nice sustain, detail and clarity. 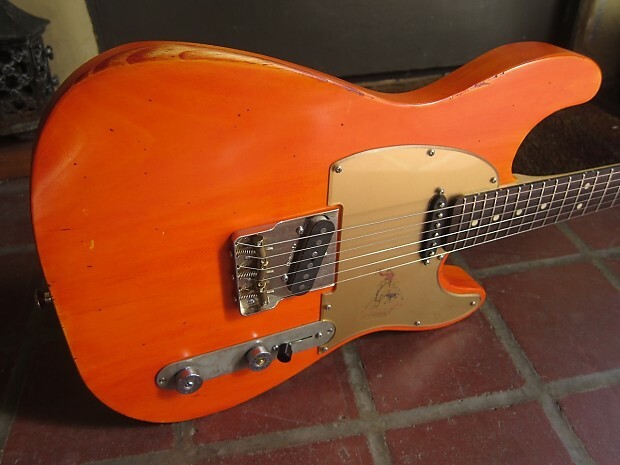 The pickups are from Lindy Fralin with a hot +2% overwound Broadcaster pickup in the bridge and an uncovered SP Special neck pickup for all of the twang and punch you could want from a Tele style pickup arrangement. There's also CTS audio taper pots, a 3-way switch, Sprague Orange Drop, cloth covered wiring and an Electro Socket jack. 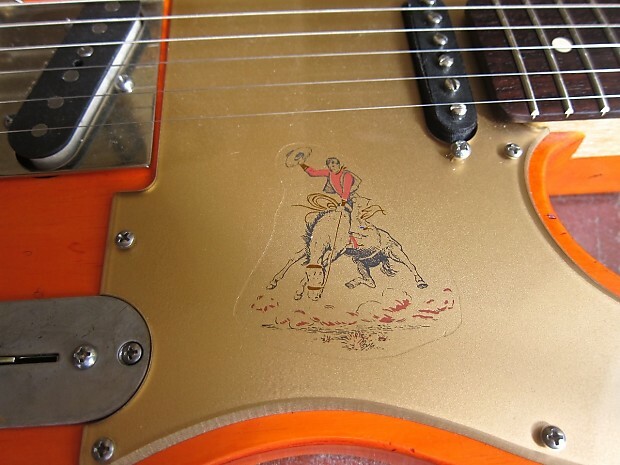 The pickguard is back-painted lucite in classic Gretsch style with a vintage 50's era Cowboy/Rodeo decal underneath the guard so it won't wear off. 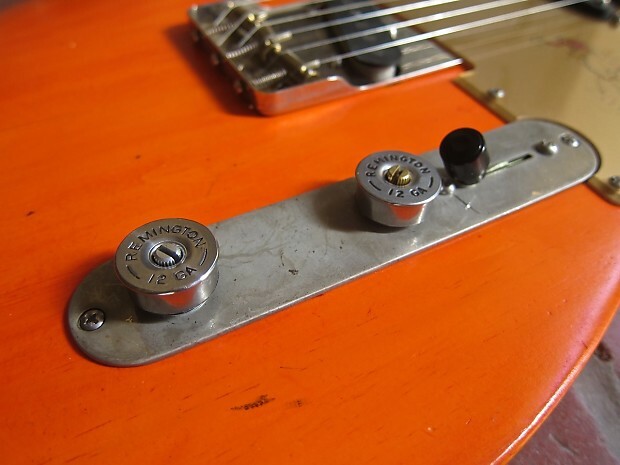 The Remington Shotgun Shell knobs and aged hardware add to the Western vibe. 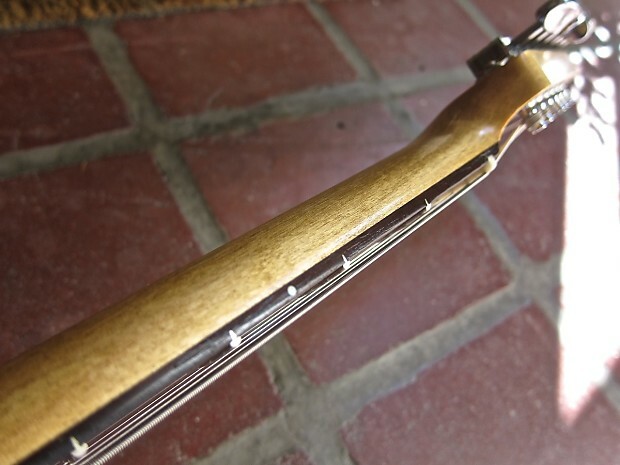 The Gotoh Tele bridge is Nickel plated and heavier than standard tele bridges for better sustain and it's tapered on the edges to not get in the way of your right hand. The brass saddles are compensated for accurate intonation. Great parts and great care go into these guitars and this one comes in a hardshell case for $1,199 + shipping. Please email me for international shipping rates. Buyers have a 48 hour approval period. If they decide to return an item, they are only responsible for shipping charges both ways.